Ferryman’s Crossing was inspired by characters from Herman Hesse’s book ‘Siddhartha’ — two humble ferrymen who extract wisdom and understanding from mundane everyday experience. Munro’s installation is a visual abstraction of a literal river experience and a metaphor for finding inspiration in life’s repetitive journey. Shimmering rows of reflective compact discs lit by pulses of light telling of the Ferrymans journey, comprise an installation that evokes sunlight bouncing off the surface of flowing water. 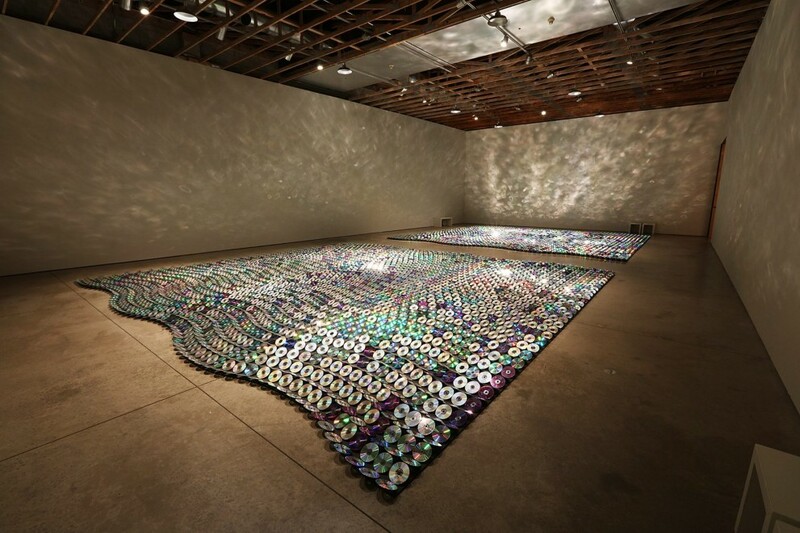 Through the scale of the installations, he layers ideas and interpretations. Munro hopes to spark a joie de vivre inspired by nature, the complexity of the human mind, and the vastness of the cosmos.